Founded in 2007, Freedom Solar started as an installation company, constructing some of the largest solar projects in Texas. After establishing ourselves as a leading photovoltaic (PV) panel installer, Freedom Solar expanded the business model to offer services directly to residential, commercial, and institutional markets. Since that time, we have installed over 13 megawatts of solar panels, including hundreds of residential customers and well known corporate clients such as Whole Foods, Office Depot, Lake | Flato, and the University of Texas to name a few. Freedom Solar lets accountability shape our work and believe that aligning our interest with our customer goals is paramount to achieving their long-term needs. Our passion for installing quality solar systems encompasses a 25-year history by our dedicated design and installation team. Our team is committed to fostering sustainable energy solutions while providing a focus on your bottom line. Lighthouse Solar is an industry leader in solar system design and installation.We provide a total solar solution for residential and commercial customers including system design, financing, and data monitoring. General contractor and Solar Company that specialize in green/energy efficient home improvement products like : "Cool Roofing", Very efficient HVAC-A/C systems, Insulation, windows and more. GreenForm is a premier roofing and solar energy contractor for all commercial and residential customers. Our goal is to simplify the process for property owners in the Hill Country and Metro Austin area to go solar and install more eco-friendly roofing options. We offer customized, turnkey solutions during our free site visits and 100% financing options for qualified buyers. Our team is committed to creating a healthier, more sustainable environment by delivering the highest quality craftsmanship while adding value to your property. Solar Pergolas offers custom designed pre-packaged pergola packages. If you were thinking of a traditional pergola or rooftop solar, you owe it to yourself to look at one of these. As one of Austin’s top solar companies, you can rely on the solar experts at Lighthouse Solar to help you realize your energy saving potential. Whether you are a home or business owner, you can count on the team to thoroughly inspect your property in order to deliver beautiful and powerful solar panels that use some of the best technology in the industry. With over 70 years of combined professional experience, rely on the Austin solar panel installation team to design and install custom arrays backed by a limited 25 year lifetime warranty. 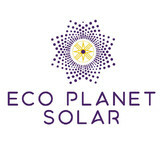 Are you ready to go green and make the switch to solar energy? 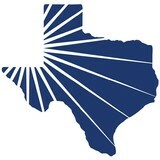 Call Lighthouse Solar in Austin today! Off-grid solar + battery. Portable solar generators, design/build tiny home, RV, festivals. DIY solar workshop. 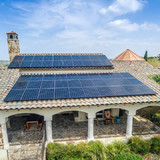 Hundreds of top Texas companies and over 3,000 homeowners partner with SunPower by Freedom Solar to save money by generating their own power. Since opening in 2007, the Freedom Solar mission has remained to provide complete solar solutions that perform beyond your expectations. Our partnership with SunPower® combines world-record setting technology with Freedom's brand of craftsmanship and personal attention to detail. Not only is your SunPower system backed by the best 25-year Power & Product Warranty anywhere, but because we do not subcontract any part of our 7-step process, we also guarantee our Workmanship for 25-years. The Complete Freedom Warranty© is the strongest combined warranty in the industry. We’re here to make life easier by empowering our customers with knowledge and savings. We provide high performing, top quality products so you can get the most out of your solar investment. Together with our customers we can save everyone money. When we work together we’re reducing pollution, and helping our planet one home at a time. AT PRO SOLAR, LLC, WE BELIEVE THAT THE BEST ADVANTAGE FOR THE CONSUMER IS TO OWN THE SOLAR PANELS ON THEIR HOME. At 2nd Energy, we believe that no one should have to struggle with high electric bills. That is why it is our mission to make affordable solar electricity accessible to every home, family and business. We is one of the few companies to offer a Comprehensive Whole Home Solution to reducing energy costs. Along with off-grid solar, wind and hybrid energy systems that include batteries and backup generators, there are also grid-tied solar and wind operations. Grid-tied systems are attached to your Jonestown, TX utility company so if you produce more energy than you use, your meter goes down and you build up energy credits. 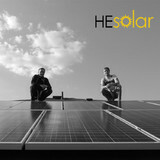 Find solar energy contractors in Jonestown, TX on Houzz. Search the Professionals section for Jonestown, TX solar energy contractors or browse Jonestown, TX photos of completed installations and look for the solar energy contractor’s contact information.